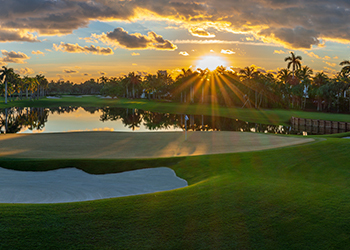 Decidedly different, yet equal in caliber—our championship courses are a study in exquisite contrasts. 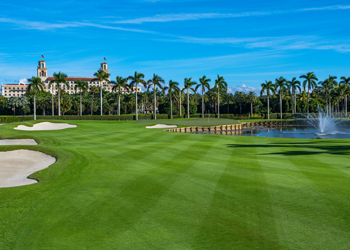 Discover acre upon acre of lush green: Florida’s oldest golf course, nurtured by The Breakers for more than a century. 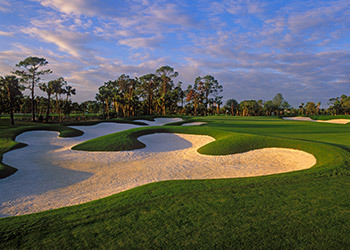 In late 2018, the course emerged from a full-scale renovation by renowned golf course architect Rees Jones. Inspiring players of all levels, the course offers an extraordinary golf experience that honors its heritage and seaside location with contemporary playability. Inheriting the original layout designed by Alexander H. Findlay in 1897, Jones’ makeover of the Ocean Course took inspiration from The Breakers’ philosophy of balancing preservation and modernization. A rich variety of contours, shapes and depths, along with all new salt-tolerant grass and unique water features, help bring the Ocean Course to an exciting and challenging new level. According to Jones, “every hole has a different little twist and different set of details.” Beckoning talent from near and far, players will be charmed with manicured landscapes and an occasional glimpse of the Atlantic. 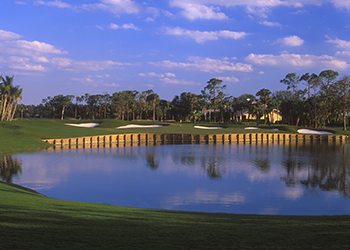 A mere 10 miles from the resort lies The Breakers Rees Jones Course, a stunning expanse of green dotted with blue ponds. It’s a modern complement to our traditional Ocean Course, pursued by seasoned players and beginners alike. Originally built in 1968, the course was reconstructed in 2004 as one of the premier golf experiences in the southeast United States, reflecting the signature style of eminent course architect Rees Jones. This contemporary course caters to every level of golfer and provides multiple options, thanks to its large fairways, challenging water carries, varied pin positions and five sets of tees. Please note: for your convenience, complimentary shuttle service is provided from the resort to The Breakers Rees Jones Course. Both of our championship courses can serve as the perfect setting for your next tournament, corporate outing or private celebration. To learn more about pricing, details and availability at The Breakers’ stunning golf courses, simply call (877) 724-4012. For more details, equipment rentals and reservations, call (877) 724-3188. Class is in session on the fairway. Explore The Breakers’ array of offerings, like private instruction and family-friendly clinics. To make a reservation, simply call (877) 724-3188.